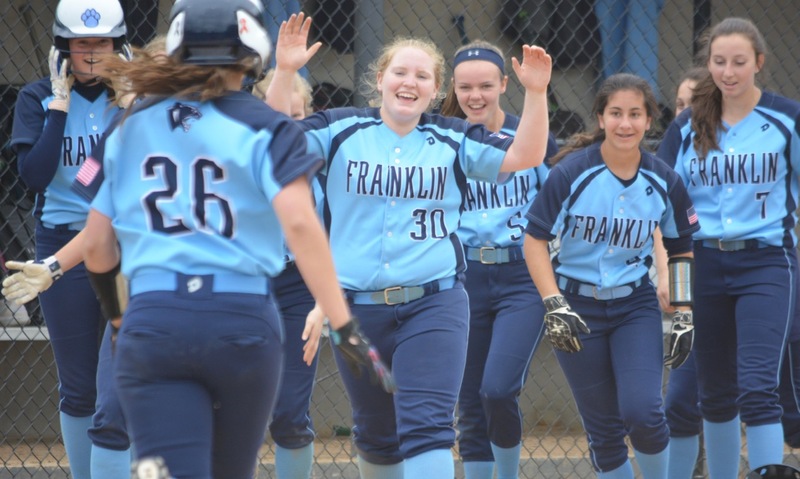 Josh Perry, Managing Editor of HockomockSports.com, provides the game recap for the FHS softball teams 4-3 win over North Attleboro on Monday. "Franklin came into Monday’s Memorial Day matinee with North Attleboro needing a victory keep alive hopes of reaching the postseason. After punching in a run in the bottom of the seventh to force extra innings, throwing a runner out at the plate to stay tied in the ninth, and escaping a bases loaded jam in the top half of the 10th, the Panthers were just 60 feet from the win. Senior Meghan Corona, the lone Panther player celebrating senior night before the first pitch, stood at the plate with Tara Hartnett poised at third. Caron hit a chopper towards the left side of the infield and North shortstop Emily Nardelli had to come home with it, but Hartnett was off on contact and slid in ahead of the throw.